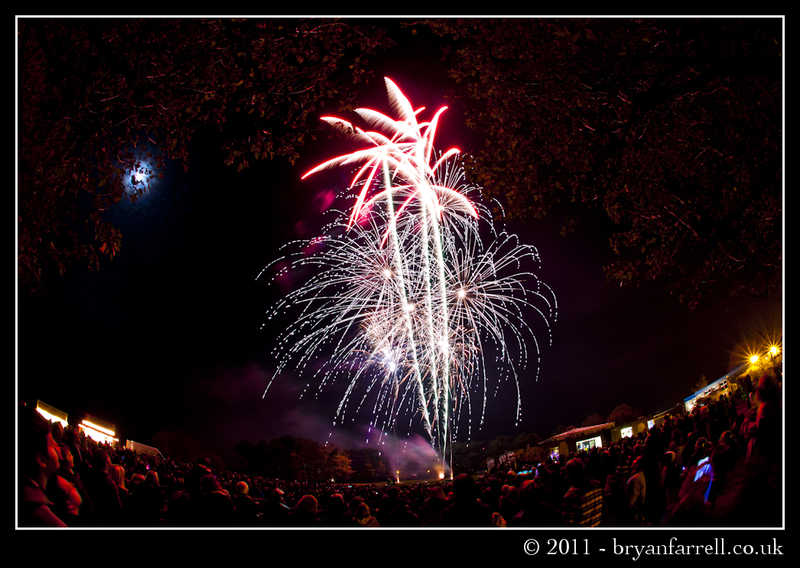 I’ve had a few people ask me how I set up to take firework shots and as the title suggests this is how I did it, that’s not to say it is the best or only way, in fact I’d love to hear your experiences and tips. Location – a very personal choice that is influenced by the venue, your choice of lens and what you want the image to look like. I like to get to the back of a crowd and if possible just under something like a tree to give the shots a natural frame. Be stable – I like to use a good stable tripod, this can be a bit difficult especially in a crowd and another reason to get behind everybody. I normally close the legs in a bit, you loose some stability but reduce the chance of somebody tripping over it and taking you camera down with them. I have shot hand held leaning against something solid or with a monopod but a tripod is the best way to go if you have the space to use one. Cable release – if you have gone to the trouble of getting your camera stable by using a tripod the last thing you want to do is add movement by you grabbing at the camera and hitting the shutter. You can pick up a cheep cable release from ebay for a few quid. As an addition tip if your camera has either a live view of mirror lock up mode use it, it will reduce any movement caused by the mirror moving. Frame the shot – while you are waiting for the show to start take a few test shots, as it is dark you will probably want exposures of 10-20 seconds to see how the shot will be framed. Focus – Pick an object roughly the distance you expect the fireworks to be and pre-focus the switch off the auto focus and leave it set, you don’t want to miss the shot as your camera searches for a focus point among all the confusion of the fireworks. Aperture – Depending on lens, distance and location I like to go with something at least closed down to f8 and maybe as little as f16, fireworks are bright and you want nice clean sharp light trails also your focus point is set because you are now in manual a little extra depth of field will not hurt. ISO – Again fireworks are bright and you want a clean light trail you shouldn’t need to go above 200 and I would normally stick to 100. Lens – Go back to point 1, location will impact this greatly but definitely go wider than you need, cropping is easy adding to a frame ‘not so easy’. Shutter speed – Always the first question I get asked and this one is always ‘it depends’ it depends on what you want to be in the image. I always use the camera on bulb so I can keep the shutter open for as long as I want it open. I take shots that have one firework in them I judge when it launches hold down the shutter and release it again as soon as it explodes, I also hold the shutter open as many fireworks go off and get a big collage of colour and lines. Almost all events have a count down before the show begins I like to take the shot with the count down and the first big explosion, that way you get the crowd (blurred but you can see it is people). 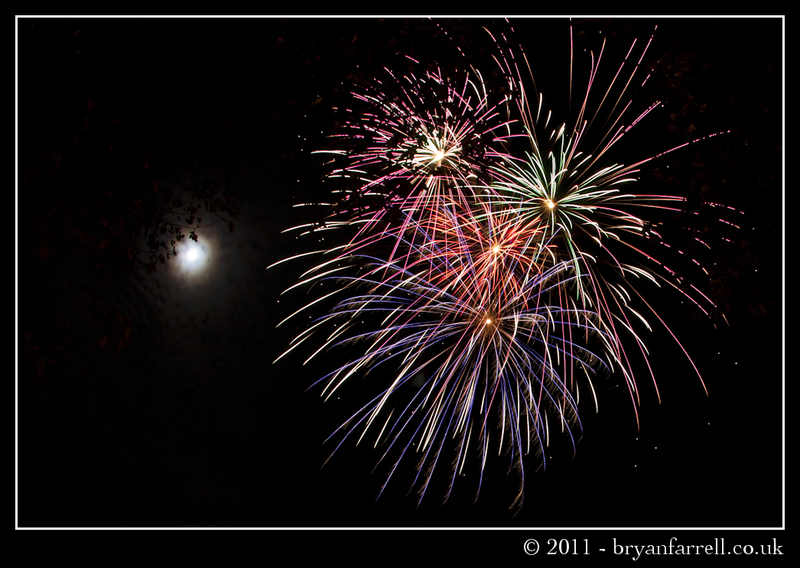 I all depends on the rhythm and flow of the firework show, play around and see the effect of shorter and longer exposures. The shots I took at High Down where between 2 and 11 seconds. If it’s bonfire night in the UK then it’s likely to be cold and your batteries will not last as long so make sure they are fully charged. Similarly if it’s 4th of July and you are somewhere hot the same is true. Previous PostPrevious Kate & Andy’s wedding day at Priston Mill.